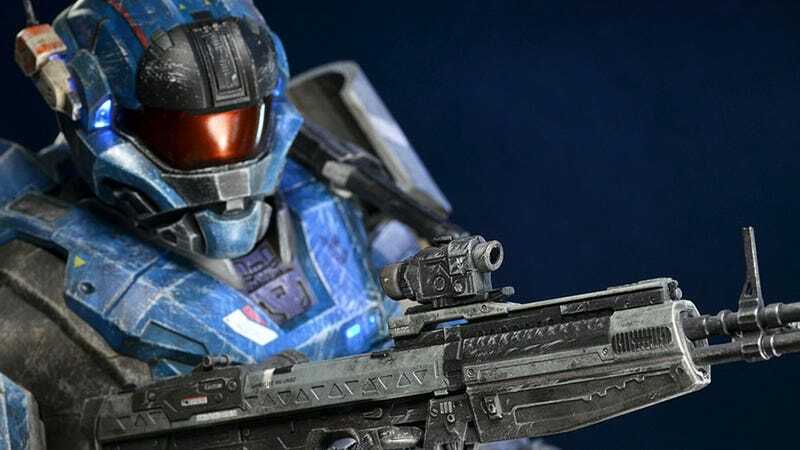 It's large, detailed and expensive as only a threeA figure could be, but then, Halo is a series that's long deserved this kind of top-shelf action figure. Though "action figure" kind of sells this thing short. Recreating Halo Reach's Carter down to the tiniest detail (look at those fingers), this thing will cost $220 when it's out next month, but toy fan Luka already has his hands on one, and has taken some lovely photos. That's my Christmas wish list sorted, then.